While language-based learning disorders—like dyslexia—fall squarely in the purview of speech-language pathologists, I’ve talked to several pediatric SLPs who don’t feel entirely comfortable treating—let alone diagnosing—this disorder. In my relatively short career as an SLP, I’ve worked with skilled SLPs treating children with dyslexia. We address various language and reading needs every day with our clients. When faced with the prospect of providing a diagnosis of dyslexia, however, I felt uneasy. Until recently. My graduate program didn’t comprehensively cover dyslexia and all its complexities. In my clinical fellowship, I encountered a case and received the appropriate guidance, but few of my friends or co-workers benefited from the same experience. I know my friends and I aren’t alone in these education gaps. These factors might cause some SLPs to hesitate in giving a diagnosis or even knowing they can diagnose dyslexia. So, how do we go about evaluating dyslexia? Typically, SLPs work on a team with other professionals and caregivers during the assessment process. SLPs are critical in making a differential diagnosis. They can evaluate all language domains—listening, speaking, reading and writing. It’s important to screen for vision problems and to rule out attention deficit hyperactivity disorder (ADHD) and hearing loss before diagnosing dyslexia. Often, SLPs or reading specialists use a combination of standardized tests to help them make a diagnosis. Popular choices include sections of the Clinical Evaluation of Language Fundamentals, Oral and Written Language Scales, Gray Oral Reading Test, Comprehensive Test of Phonological Awareness, and Test of Word Reading Efficiency. Further, interviewing parents provides valuable case history details. Family history of dyslexia, for example, is an important factor to consider, as are possible delays in talking. A parent interview can also reveal red flags that standardized testing might not cover, such as chronic ear infections, poor handwriting, difficulty reading an analog clock, confusion with left and right and directionality, trouble learning a foreign language, and more. Let’s educate ourselves to the degree needed to help the one in five individuals with a language disorder like dyslexia. Take that continuing education course! Read that research article! It might make all the difference to the next client to walk into your office. I read with interest your outline of an SLPs role in diagnosing dyslexia in the US. Here in the UK, we are unable to do this as SLPs unless we are jointly qualified with a Post-Grad Dyslexia qualification. I have such a qualification and also register with a separate professional body to oversee my registration, qualifications, standards and CPD. I feel this is right as my SLP training alone would not have given me this insight or been able to oversee the quality of my work. I do however feel SLPs have a valid role in the assessment of phonological issues and perhaps remediation thereof, but not the whole aspect of diagnosis and intervention. This is a huge area covering current reading theory, assessment and intervention. My dyslexia training alone was two years in addition to my SLP training. Interesting debate here though so thank you for raising it. I agree; I do not believe that most speech-language pathology graduate programs adequately prepare students for diagnosing and treating dyslexia. It took me many hours of additional training and CEU courses to feel competent. Like with all other areas of our field, clinicians need to consider the ethical implications of treating clients that fall outside of their areas of expertise. For those interested in becoming better versed on the topic, I recommend ASHA’s resources listed above as well as CEU courses. Yes!! Thank you for writing and sharing this article! As a mother of two children with dyslexia and as an owner of a dyslexia specially center, I am so surprised by how many fellow SLPs in the community aren’t aware of their role in dyslexia. I hope graduate and undergraduate programs begin integrating courses on dyslexia, as it is the MOST common reading disorder and impacts 20% of our population! The incidence is much higher than autism, and many other diagnoses for which they provide direct training. 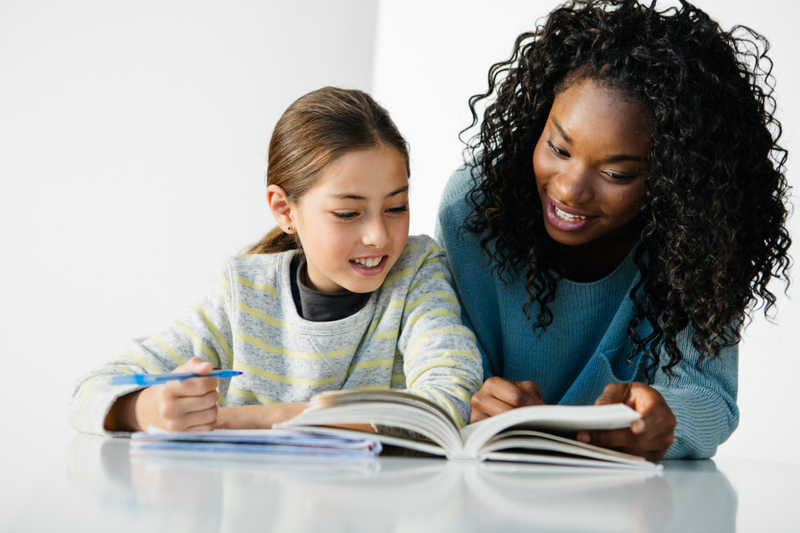 Our center intentionally hires CFYs every year and provides them with the in depth training they need to accurately diagnose and treat dyslexia, so that more SLPs will have this knowledge. Our hope is that our two neighboring universities with SLP programs catch on and continue to grow their literacy based education for SLPs, specifically focused on dyslexia. (Please excuse any typos, as this was written on my phone without spell check). I love that you are training your CFs this way! Hello Wendy and thank you for your informational article. In California, an SLP is “not” allowed to evaluate students. SLPs are considered “service providers”, hired by a School District to perform “speech” therapies. Therefore, SLP’s shy away from having a professional diagnosis opinion on students they serve, and do not use the assessment tools you outlined in your article. In addiiton – Although ASHA (and CASHA in California) believe SLPs have a significant role in identifying and supporting children with dyslexia, School Districts do not agree. I would like to discuss this further with you. I am a dyslexia advocate (in California). I can be reached at 714-883-1202. I also hope more SLP grad schools follow Harvard’s lead in offering a reading/dyslexia specialty to their regular graduate program.